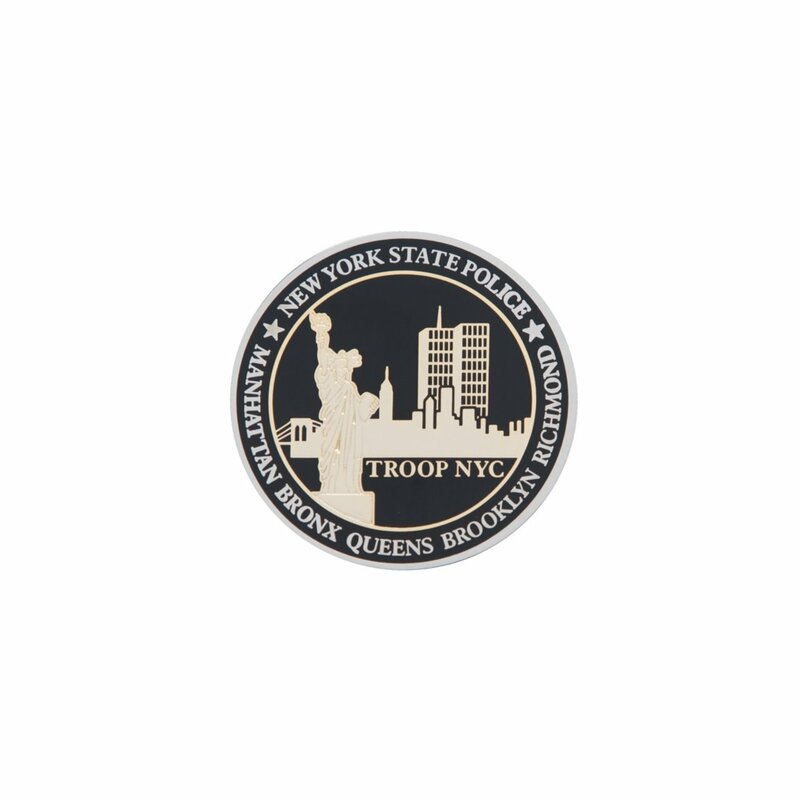 The symbols on the NYC Coin representing Troop NYC are the Statue of Liberty, World Trade center (Twin Towers), Brooklyn Bridge and the Empire State Building. All symbols are historic and iconic in their own rights. All symbols are a reflection of Freedom, Peace and Liberty. The Statue of Liberty: located in the NY Harbor was a gift from the people pf France. The statue is a historical landmark representing Freedom for the people of NYC and the USA. World Trade Center (Twin Towers): was located in lower Manhattan until they were destroyed on September 11, 2001 by terrorists. At the time of their completion they were designated the tallest buildings in the world. The towers were deemed a living symbol of man’s dedication to world peace. Brooklyn Bridge: located in lower Manhattan on the East side connecting the boroughs of Kings (Brooklyn) and New York (Manhattan). It is one of the oldest bridges in the United States. In the late 1800’s the bridge became a symbol of the optimism of the time, and today it symbolizes the faded glory of the past. Empire State Building: located in midtown Manhattan and completed in 1931, at that time it was dubbed the 8th Wonder of the World. The ESB was constructed during the hardest hit economic time in this nation’s history and it dwarfed accomplishments by each and every nation of the earth at that time. It not only became a symbol of NYC, it became a symbol of the 20th’s century man’s attempt to achieve the impossible. Available for purchase December 2016!